According to the sources, Alibaba and Paytm are in a 60-day exclusive pact with Bigbasket and are conducting due diligence. The two could invest as a team or separately. When contacted by Financial Chronicle, Bigbasket spokespersons neither denied nor confirmed the development. “We are in talks with multiple parties. We will announce it when a deal is finalised,” a spokesperson said. An investment in Bigbasket will give the Alibaba-Paytm duo the strategic arsenal to take on Amazon in India. Bigbasket was also separately looking at raising funds from private equity funds to fuel its growth. 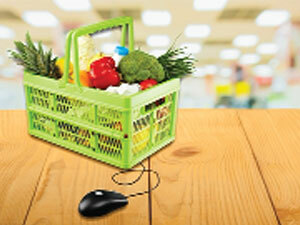 Bigbasket is among the very few online grocery companies, which have stood the test of time. Some of the other grocery e-tailers like Peppertap and Grofers have closed down their operations in some cities. The firm has raised $220 million from investors, including Abraaj Gr­oup, Bess­emer Venture Partners, Helion Venture Partners, Sands Capital, International Fina­nce Corporation and Zodius Capital, among others. Bigbasket has been in the eye of speculations as some of the large e-commerce players had evinced interests in making big in the grocery e-tail space. Both Amazon and Flipkart had made announcements in this regard. Amazon had also received government’s approval to invest in food retail in India. Acquisition of an established player will give them a head start in the market, which is better than building up operations from scratch. Grocery is the category that brings back customers frequently. There were also reports abo­ut Grofers – another hyperlocal grocery e-tailer –pro­p­o­s­ing a merger with Bigbasket. Last year Gr­ofers had shut shops in 9 cities, including Bhopal, Coimbatore, Kochi, Lu­dhiana, Mysore, Nashik and Rajkot. Bigbasket, which operates in over 25 cities including Bangalore, Mumbai, Pu­ne and Delhi, claims to have a large assortment of products and brands across categories. At some point of time, Softbank too was interested in investing in Bigbasket.